Former Manchester United manager Louis Van Gaal has announced his retirement from football management. Van Gaal coached European giants like Ajax, Barcelona, Manchester United and Netherlands. He won 20 trophies across Europe in a career spanning over three decades. Van Gaal's last title came with Manchester United in 2016, when he won the FA Cup. He has not been employed since he left the Manchester United job. 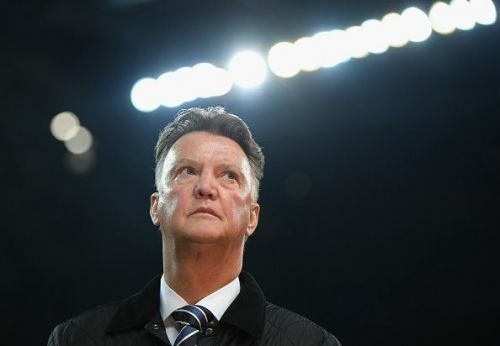 Van Gaal was regarded as one of the best managers of his time, having won trophies with every club he managed. Not surprisingly, Twitter paid tribute to the Dutchman, recapping some great moments from his career. First came the announcement, which he made in his own style. Then came the trips down memory lane. No manager could complain about diving better than Van Gaal did. Louis Van Gaal has officially retired from football. Thank you for everything you have done for this football club. His press conferences sometimes shadowed the results of the match. He rocked the press conferences with his funny and weird responses. This press conference will take a long time to fade away. The disappointments he sometimes produced on the pitch were more often than not nullified in the press conferences. Happy retirement, Louis van Gaal! Several Manchester United players also thanked him for influencing their careers. Marcus Rashford had a dream Premier League debut under Van Gaal, scoring twice against Arsenal. Anthony Martial became an instant hero for the Manchester United fans after he scored a fantastic solo goal on debut against Liverpool. He did not forget to thank his boss for signing him. Fans of Manchester United thanked Van Gaal for the FA Cup. He was also thanked for the players he brought into the fold - Anthony Martial and Ander Herrera were a few of his successful signings at Manchester United, who are important members of the current setup. Van Gaal also prevented David De Gea from moving to Real Madrid, thanks to the fax machine failure on deadline day. Despite being trolled at the fag end of his career at Manchester United, Van Gaal was very influential in changing the style of football in Bayern Munich, Ajax, and Netherlands. He will surely be remembered for the trophies he won across different clubs across his career.